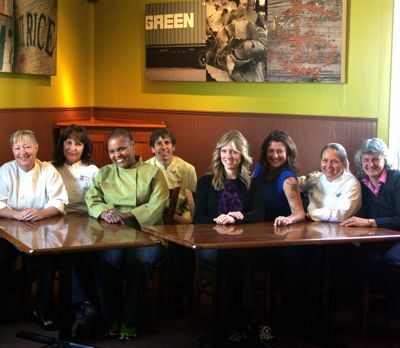 When eight East Bay culinary divas stir the pot and spill the beans, what you get is a sizzling stir fry of raucous musings, candidness, collaboration, ebullience and deliciousness. Women in the kitchen are in the spotlight, thanks to Nora Ephron’s movie, Julie and Julia. For a feminine perspective, we invited eight super-successful women entrepreneurs, restaurateurs and chefs for their take on running their East Bay restaurants. They met around three tables pulled into a rough circle at Brown Sugar Kitchen in Oakland. There were traffic and train noises — and lots of laughter. One might have expected there would be competition among these women who own and operate top restaurants in relatively close proximity. On the contrary, many of them have worked together. They’ve shared chefs and waitstaff, and they’ve eaten at each other’s restaurants. In some cases they were each other’s biggest fans. During the roundtable discussion, the women talked together, talked over each other and talked totally off-topic — more like being at a good dinner party where wine and conversation flow freely. But there was no wine, just coffee beforehand and slices of carrot cake with walnut at the end.